1. Openmatics BLE tags send data consistently. This makes it possible to monitor trailers, pallets and goods. 2. Parking TAGs monitor loading and unloading times at loading ramps. 3. The Openmatics Call Button, which can be used flexibly in production, orders material as required. 4. Communication with the vehicles takes place via the onboard units. 5. TAG finders throughout the company premises can identify the position of valuable goods at any time. 6. Access points monitor the flow of materials throughout the entire production process. 7. All position and status data is transmitted to the cloud via TAG Finder or access points in production as well as onboard units in the vehicles. 8. Since the entire production process is networked and monitored, bottlenecks can be identified immediately. This enables the flow of goods and vehicle routes to be balanced in good time. 1. If raw materials are required in production, the logistics system records the warehouse position and defines a loading ramp at the destination. 2. The system checks the utilization of the tuggers and assigns the transport request to the next available vehicle. The autonomously moving tuggers dock onto the trailer and take it to the correct unloading point – on an optimized route through the plant premises. 3. The Innovation Forklift unloads the tugger’s trailers and transports the goods from the loading ramp to the production hall. 4. The autonomous forklift has camera and radar systems and stops automatically when people are in the way, avoiding obstacles. This reduces accidents at work and prevents personal injury or material damage. 5. Milkrun trains distribute the material as required in an exact production sequence. The central control of internal logistics enables Milkrun trains to make efficient use of transport capacities. This ensures that the precise amount of material required is always available. If this happens autonomously, so much the better. Downtimes increase operating costs for fleet operators - ZF's predictive maintenance function adjusts maintenance intervals to actual use, thus avoiding unnecessary costs. With predictive maintenance, the suitable vehicle is automatically selected for new transport orders. The maintenance history and the condition of the vehicle play a decisive role here. If the new order involves a transport distance of 5,000 kilometers, for example, a vehicle is selected that requires neither oil changes nor maintenance within this distance. ZF's predictive maintenance function does not check the condition of the vehicles on the basis of mileage and maintenance intervals. The system constantly monitors the transmission oil as well as the clutch disc. In this way, it can make forecasts about a due transmission oil change as well as for the remaining service life of the clutch disc. The truck's suitability for the upcoming transport job depends on this. If, for example, the clutch disc has a remaining service life of 3,000 kilometers, a transport order of 5,000 kilometers can result in an acute risk of breakdown. In this case, the ZF predictive maintenance system arranges a service appointment and places the order with another vehicle. Maintenance intervals are calculated in the ZF cloud in real time on the basis of actual usage data. Fleets benefit from longer service intervalls and less downtime - and a reduction in the Total Cost of Ownership (TCO). 1. With the asset tracking solution from OPENMATICS, shipments can be tracked at any time during delivery. Bluetooth Smart TAGs are on the shipment around the clock. They constantly transmit data regarding location, condition of the goods and compliance with the refrigeration chain. 2. With the asset tracking solution from OPENMATICS, carriers can keep an eye on the freight process at all times via the web portal and the app. This enables them to react at an early stage if necessary and to provide complete documentation for their quality control. 3. 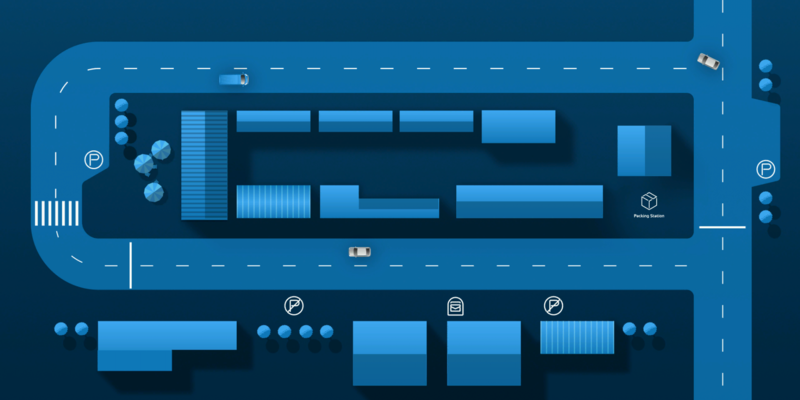 With the telematics solution from OPENMATICS, carriers can network their vehicles. This enables safe and intelligent operation and keeps the vehicles in top condition. 1. Platooning improves the flow of traffic and reduces the number of accidents. It also reduces fuel consumption as well as emissions pollutants. 2. When driving in a convoy, the vehicles connect. 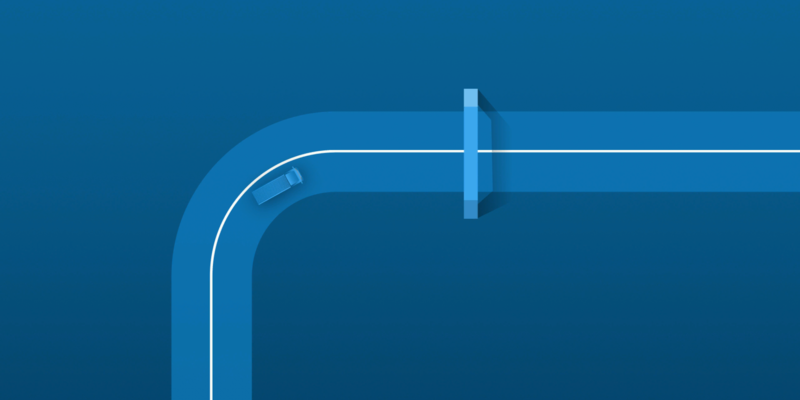 The rear truck closes the gap between the vehicle ahead and keeps the distance constant. 3. Thanks to the short distance, more than just the air resistance on the vehicle following is reduced. Also, turbulence at the rear of the leading vehicle is reduced. Both vehicles thus benefit from the platoon and can reduce their fuel consumption. 4. The platoon behaves like a single vehicle with the first truck determining the speed. Through communication between the vehicles, the acceleration and braking signals are reliably transmitted to the following truck. 5. The control systems of the rear truck react faster than any human being can and implement the driving maneuvers of the lead vehicle in a coordinated manner. Platooning therefore makes a decisive contribution to road safety. 1. The Innovation Truck with changeable body enters the depot. The driver can get out at the factory gate. The truck receives the order to remove the body via the company's own LTE network and the routing system points the way to the loading ramp. 2. The Innovation Truck – autonomous and GPS-controlled – reaches the intermediate station. From there, it backs up to the unloading point using a camera and sets the body down. 3. After feedback to the routing system, this triggers a new order: pick the body up at ramp X. 4. The Innovation Truck travels to the new waypoint and navigates – via camera and by means of lasers in close quarters – under the body. 5. The truck receives the order to drive to the parking position. If the GPS connection is lost, the RFID field takes control while the signal is shielded. 1. Via the in-house LTE network, the Yard Tractor terminal receives the order to place the trailer at a position on the ramp. 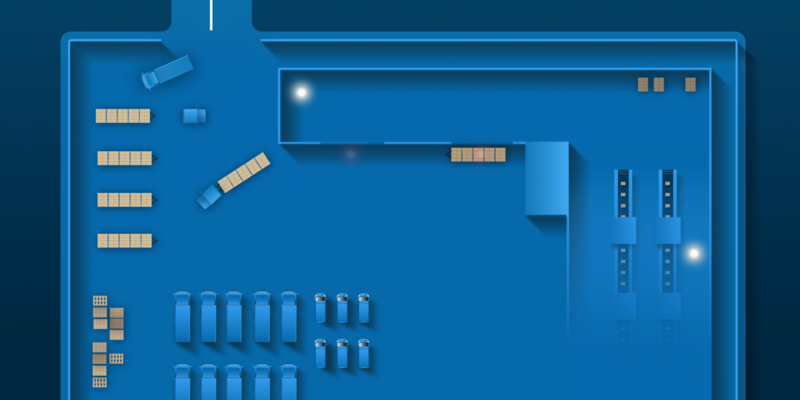 The routing system points the optimal way to the loading ramp. 2. The Yard Tractor terminal travels – autonomously and GPS-controlled – to the waypoint. 3. Cameras installed at the ramp capture the rear of the maneuvering trailer, which is marked with a target. A computer at the depot calculates the route for docking. The Yard Tractor terminal steers autonomously to the ramp. 4. The Yard Tractor terminal receives the order to drive to the parking position. If the GPS connection is lost, the RFID field takes control while the signal is shielded. 1. To find the most efficient delivery route, the Innovation Van uses a cloud-based support system. This system stores data such as the delivery location and the desired delivery time for each loaded parcel. 2. The algorithm calculates the optimal delivery sequence in real time and takes into account parameters such as traffic conditions and energy consumption. 1. The Innovation Van drives electrically and automatically to the parcel station. All the parcel deliveryman has to do there is get off and pick up the consignment provided. 2. The Innovation Van is not allowed to stop at the destination address. The parcel deliveryman gets out and sends the driverless vehicle to the next stop ahead via tablet. 3. The parcel carrier delivers the consignments and follows the Innovation Van comfortably on foot. 4. The driverless innovation van stops at a traffic light and continues on the green independently. When turning right, it detects a pedestrian on the crosswalk, stops and lets him cross. 5. At the destination, the van finds its own parking space and waits for the parcel deliveryman. The parcel deliveryman arrives, removes a parcel, deposits it in the trunk of the car parked in front of him (which has been opened by the cloud) and gets back into the Innovation Van on the passenger side. 6. The Innovation Van recognizes a car standing in its lane as an obstacle and comes to a standstill. The vehicle identifies whether the oncoming lane is clear and only then automatically avoids the obstacle. 1. ZF has developed the "Trendsetting Cockpit" for highly automated applications. In the future, parcel delivery companies will also be able to benefit from this: you can get in on the right or left, depending on which is more comfortable and safer at the moment. The innovative concept does not require pedals or a steering wheel. If the driver wants to control the vehicle manually, he can control all functions via the integrated central joystick. 2. The display and control concept with screens offers a high degree of flexibility and makes it easier for delivery staff to work while driving. Non-driving administrative activities on the road are thus possible without any problems. Efficient logistics means more than simply transporting goods from A to B – it is the pulse of the economy. But resource scarcity demands a responsible approach. This applies both to the transportation of sensitive goods as well as to drivers’ rest after long journeys. For the former, cloud-based temperature, humidity, and vibration monitoring is the solution. For the latter, the autonomous disconnection of swap bodies or trailers in the depot. 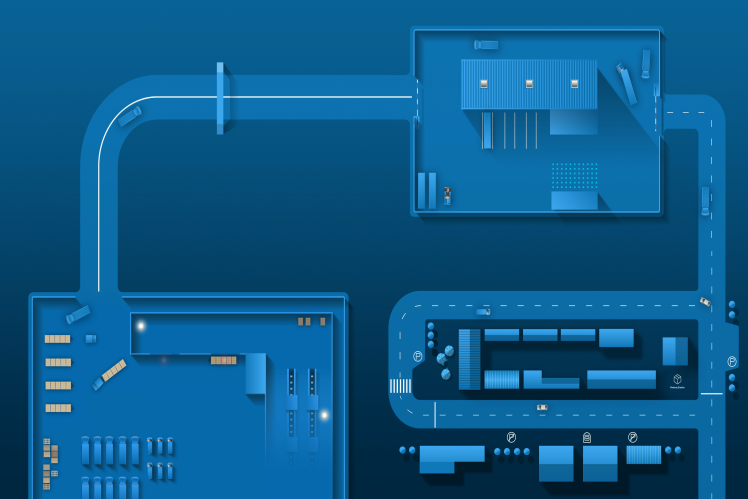 So no matter where you look – ZF develops intelligent and resource-friendly solutions for the logistics chain. 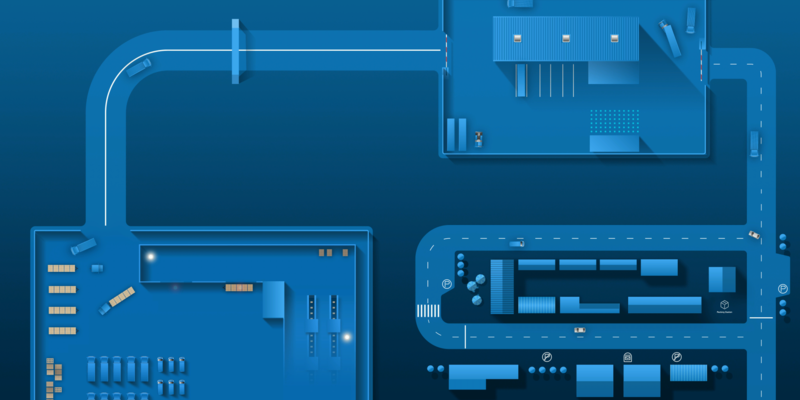 From smart hardware systems to digital services: With its cloud-based IoT platform, ZF offers its customers a wide range of innovative, secure and intelligent solutions – across a range of applications and industries.